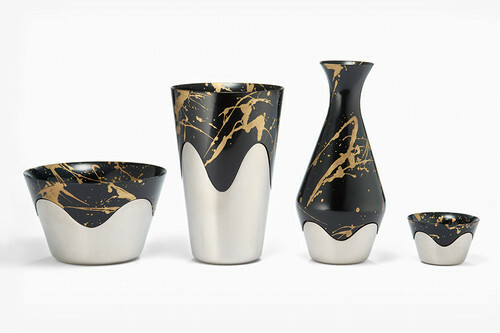 A drink vessel set with famous traditional expressive technique, "Makie - gold relief". Inheriting Japanese traditional spirit of praising shade, the design visualizes the beauty of highlight on its smooth form. Furthermore, dynamic and elegant patterns of Makie create elegant atmosphere in dining scenes with someone special. Hybridly designed with heavy rich metal, enjoy forever the high quality products by Japanese crafts and manufacturing. 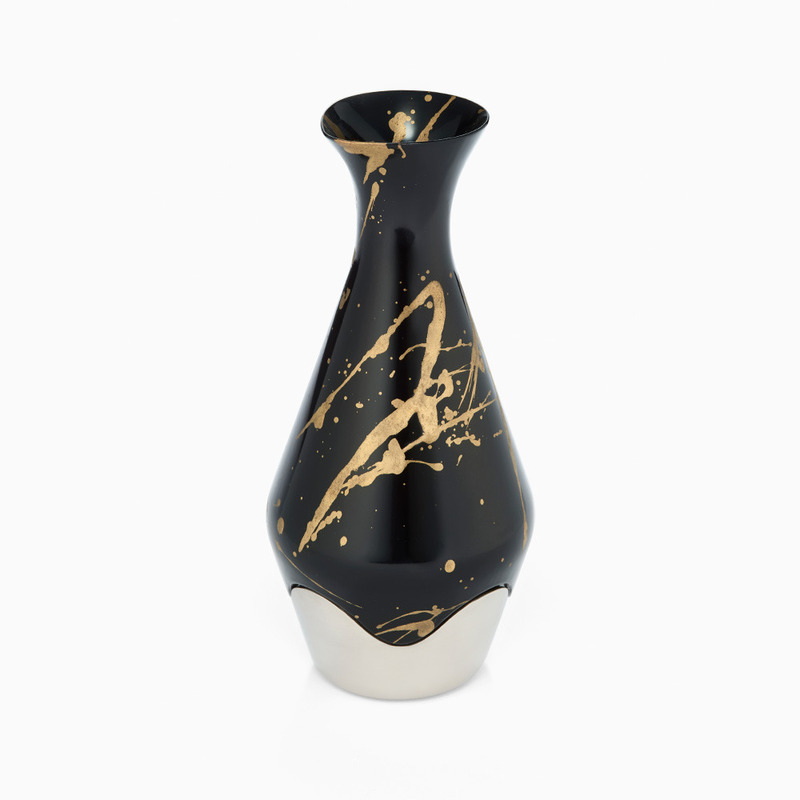 A Sake bottle with smooth glamorous form and famous traditional expressive technique, "Makie – gold relief".